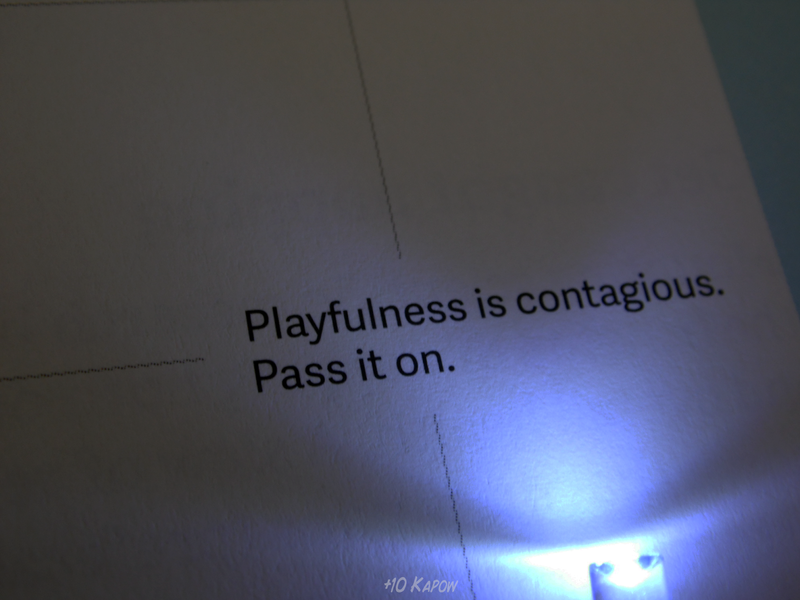 Plus10Kapow: Stick to Stigu Planner: Plan Hard, Play Hard, Rest Hard! 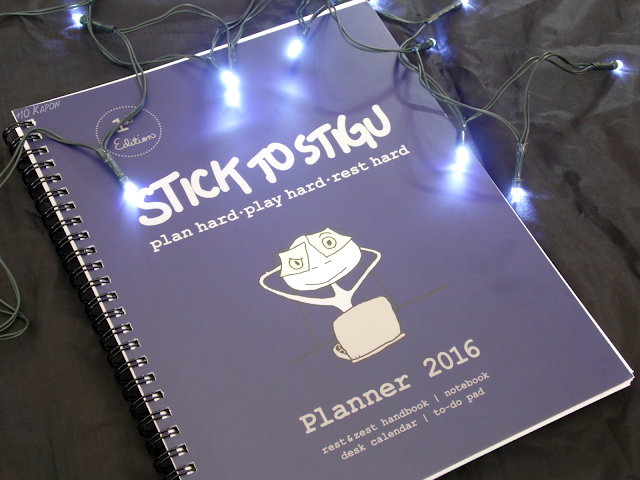 Stick to Stigu Planner: Plan Hard, Play Hard, Rest Hard! I am not an organised person, in fact, since brain fog became a part of my life I would honestly put myself at the worst end of disorganised. I forget everything unless I write it down, I never plan and split my day up in an effective way and I never get things done when they need to be done. Stick to Stigu is a new planner with a look-after-yourself twist and when I stumbled across them on twitter I knew I had to try it out, it seems like the perfect thing for me. It's about the size of a Gen 1 iPad and has a spiral binding with lots of pages in it. I can have it sat open on my desk and comfortably carry it around with me in my bag. Meet Stigu, that little guy there with his legs in the air. 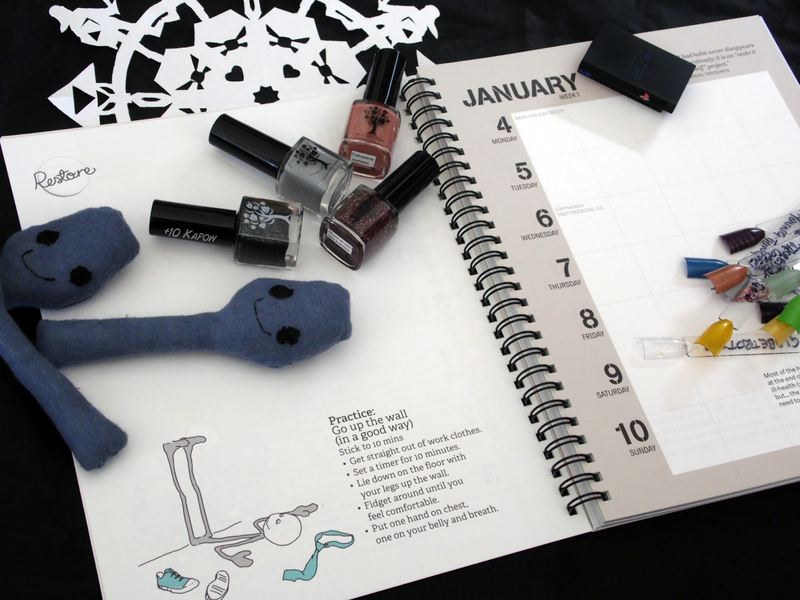 Stigu and his friends are there throughout the planner in the form of adorable artwork on each double page along with an accompanying tip and space for to-do lists and what not. 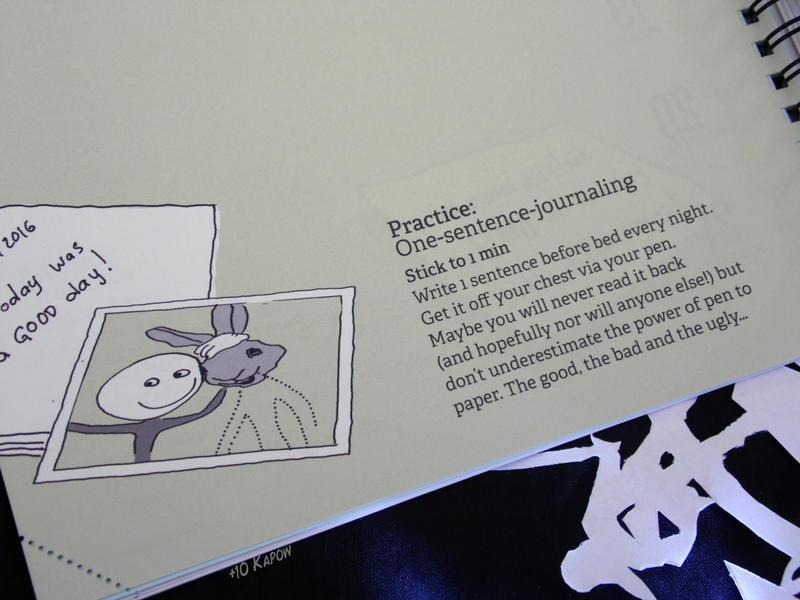 On the opposite page there are 7 days, each with 5 spaces to organise your day and another tip and/or quote. The spaces are a good size, with enough space to put multiple tasks in and would work well with some of the planner stickers I have seen all over the t'interwebs. Each month has a theme for the tips and doodles, for example, September is SLEEP! Throughout the month of September there are some excellent hints and tips on how to get a good nights sleep, which, let's face it, most of us are in desperate need of. 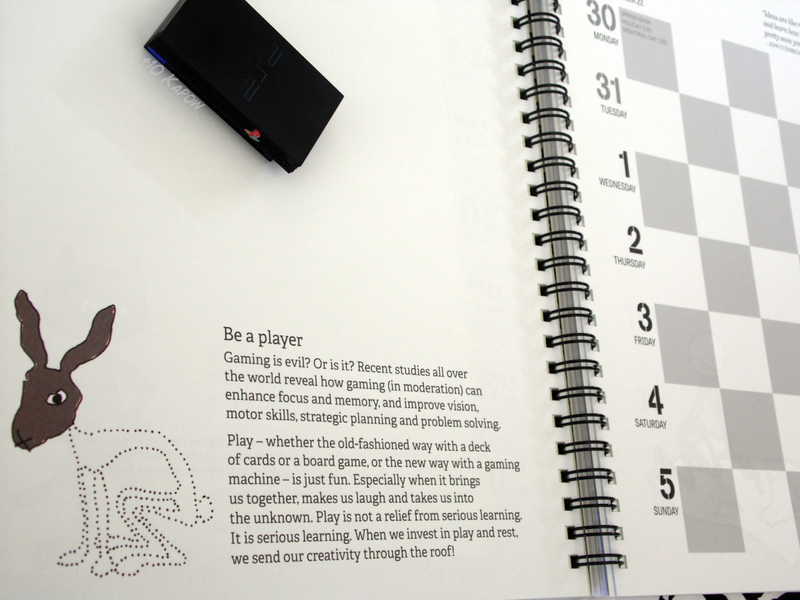 This is one of my favourite tips from the entire planner, gaming can help with a lot of things and I do love many games in many forms, yes mostly console gaming but I am also quite partial to a good game of Scrabble. With all the bad rap gaming gets, it's nice to see it mentioned here in such a good light. Also how cute is this awesome PS2 console keyring? 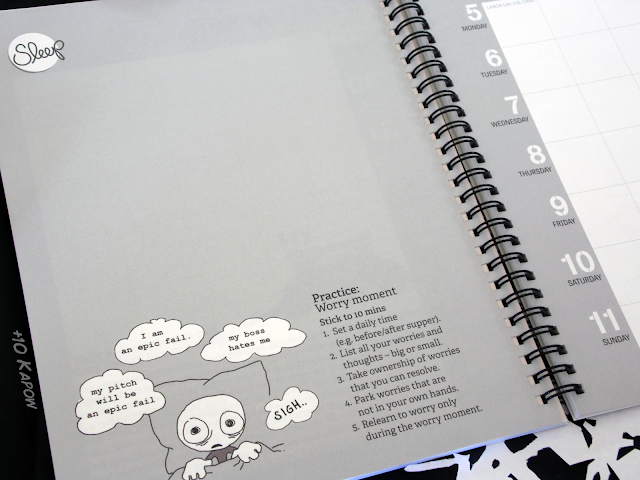 The pages are good quality, thick pages that won't wear down easily, and they have these little perforated corners on the bottom so that when that week is finished you can rip off that corner and it makes it easy to skip to the week you are on. There are also 2 of these calendar style planners in the book, one at the beginning for 2016 and one at the back for 2017, plus 16 blank pages at the back to use as a notebook and a little pocket style card page to keep notes and such like safe. This planner is perfect for pretty much everyone and I love the fact that it works for me as a blogger and a spoonie. I am hoping to try and become a lot more organised with both the blog and my health next year, it's going to be one of my resolutions and Stick to Stigu is going to help me do that. I can plan what photos I need to do, what posts need to be done, any appointments, pills and exercises but also remind me to rest and take breaks throughout the day. I am looking forward to seeing what other items they bring out in the range and hopefully they bring out their own planner stickers, but for now, can anyone recommend any? The planner is £14.90 but there is currently a 3for2 launch offer for £29.80 so if you want to try one and know 2 others that could benefit from it, this might be the offer for you. Let me know if you get one! 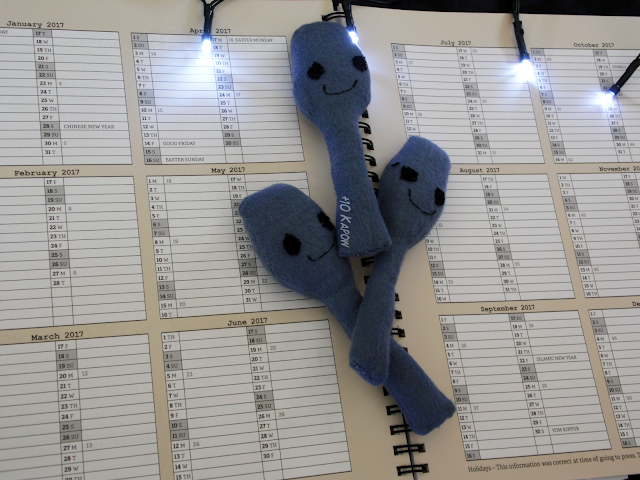 Also featured in some of the photos are the Danglefoot Nail Polish Star Wars Collection (swatches coming soon) and my plush extra spoons are Teensy Spoons from Above The Row which were a wonderful and thoughtful gift from the lovely Christa. Oh and a Zelda snowflake made by meeee!